The idea of Hayduke Trail (HDT) was conceived in 1998 and is in fact not a trail at all, but an 800-ish mile route. 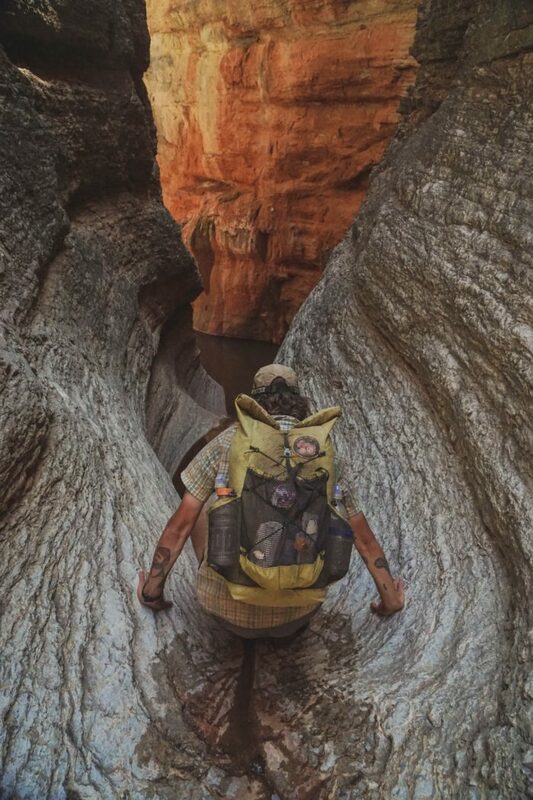 It was designed by two adventurers who wanted to showcase the rugged, unspoiled beauty of the American Southwest by exploring the many national parks on the Colorado Plateau in Southern Utah and Northern Arizona, as well as the seldom seen but equally beautiful land that exists between them. This route stitches together existing trails, jeep track, and the natural land formations. There are no blazes, no purist mentality, and for the most part no established path. The route’s namesake, George Hayduke III, is a fictional character in the novel by American author Edward Abbey who is a fierce advocate for and lover of the Southwest and the freedom inherent in true wilderness. It is in this spirit that the trail often becomes a choose-your-own adventure, encouraging hikers to find and take alternates to make the experience their own. Currently, only about three dozen hikers per year hike the Hayduke, so potential hikers must be content with some serious alone time or recruit a hiking partner if they wish for company beyond the red rocks and stars. The HDT is not intended for novices, but for those seeking an honest challenge in an alien landscape. 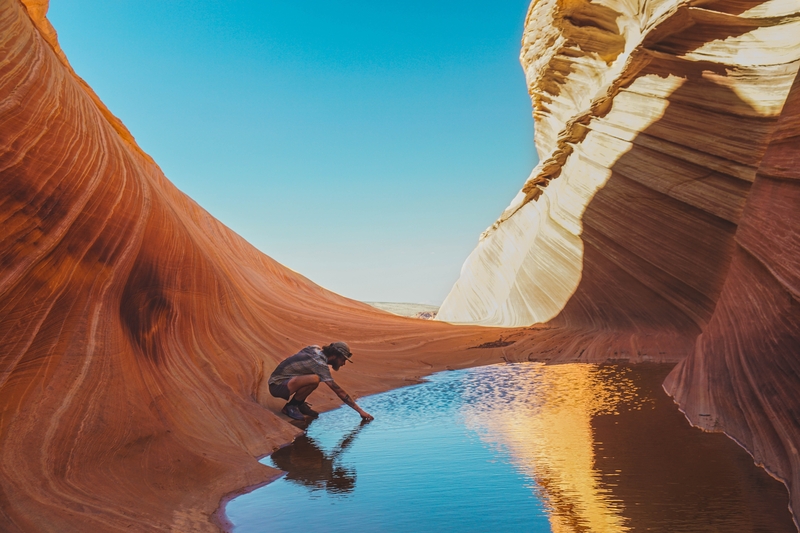 Where canyons and wind-worn slickrock serve as a playground, amid a backdrop of innumerable towering natural arches and spires, and a rim to rim traverse of the Grand Canyon is the icing on the cake. Scenery: Endless sprawling canyons, cliffside dwellings and ancient petroglyphs, towering red-walled cliffs, wind-whipped rock formations, alpine peaks soaring above the expansive desert floor, fiery desert sunsets fading into night skies so vast you feel entirely microscopic and yet wholly attuned to the universe. Terrain: Easy to very difficult. Nearly one-third of the trail is on jeep track, but the remainder is navigating canyons, drainages, and cross-country trekking. This includes slogging through all varieties of sand and fording waterways. Climate and weather: Desert. Typically dry; extreme temperatures range from below freezing at night to into the 90s and above during the day. Navigation: No official trail. There is a guidebook written by the cofounders of the route and a highly recommended map bundle, both of which are available for purchase on the Hayduke website. There are also downloadable GPS apps to supplement the maps, and a plethora of detailed info from previous Haydukers on various blogs. With names such as Poison Springs Canyon, Dirty Devil River, Weeping Wall, and Tarantula Mesa, one might wonder why anyone would want to venture off into the unapologetically wild, wild west featured in the Hayduke Trail. But one has only to think of the mind-boggling magnificence that is the Grand Canyon aflame at sunrise, the impossible elegance of The Wave against an azure Arizona sky, or staring up into the vastness of a deep, bright desert night with galaxies swirling above to be swayed toward considering it. Beyond the sublime scenery, it offers possibly one of the last true wilderness experiences for the hiker looking for more by way of less. More solitude, less water, more extreme temperatures, less established trail, more self-reliance, fewer trail towns. To get a glimpse into life on this largely unknown, but entirely splendid trail, I interviewed a former Hayduker and accomplished long-distance thru-hiker, Peacock, who completed the route as a solo trek in spring of 2017. So without further ado, here is the skinny on one of the wildest and most remote routes in the US to help decide if it’s for you. 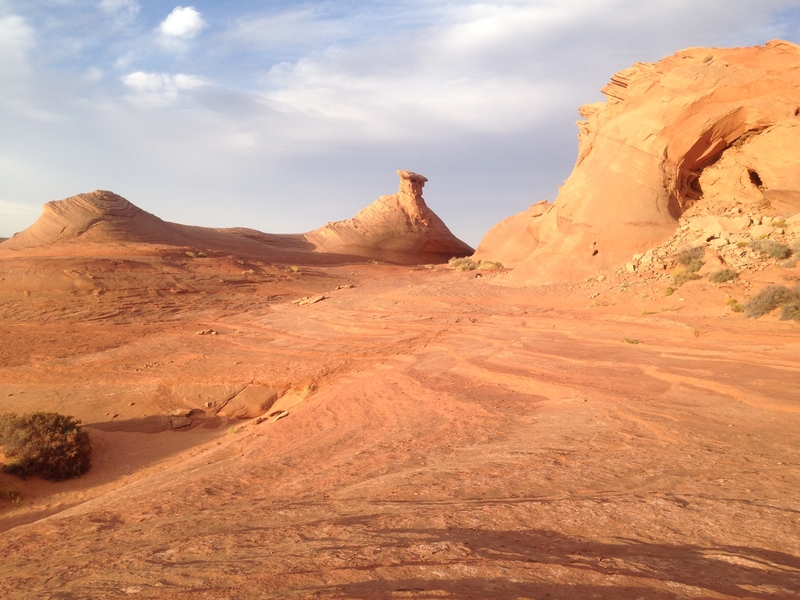 From the Moab airport, you can actually hike four miles directly into Arches National Park. The trail begins unceremoniously where Salt Valley Road enters the park along its northwestern boundary. There is no commemorative plaque, no inspiring words, no register. Just straight down to the business of walking for the next 800 miles. However, the tone of this trail is set immediately as “pick your own adventure” in that you may—nay, are encouraged—to start at a trailhead of your choosing. 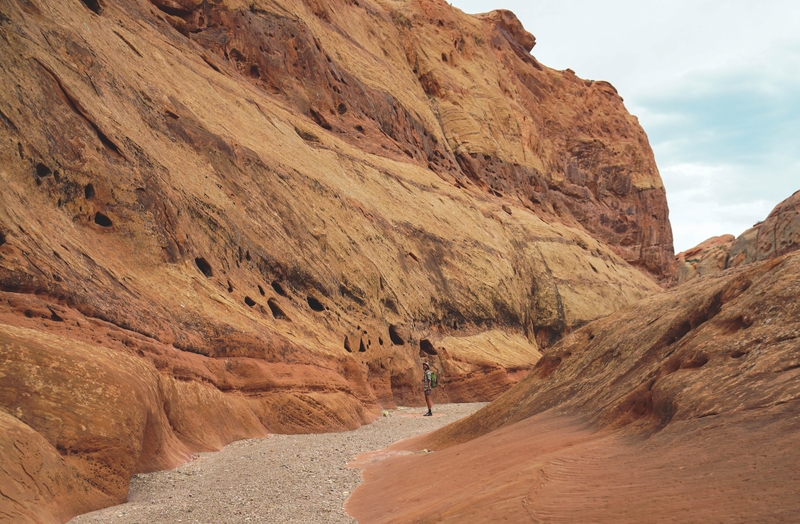 A few options are the Devil’s Garden, Arches Slickrock*, or Klondike Bluffs, which are outlined in the links at the bottom of this article. Please note that before entering the park, you will need to obtain a permit from the visitors center, either the day before or day of your hike. One of the unique things about the Hayduke is its utter solitude and therefore freedom. As long as you’re following LNT guidelines, you may camp wherever you wish, and unless you’re traveling with a partner likely will not have to battle a single soul for a prime camping spot and some of the nation’s finest star-gazing! And the entire trail is on public lands so almost nothing is off-limits*. However, beware of camping in drainages where there are signs of previous flash floods if heavy rains are expected. One caveat: when you are camping within the boundaries of a national park, you must first obtain a permit. Unfortunately, there is no all-inclusive permit that will make life easier for Haydukers. Each one must be obtained separately. Considering that most visitors centers are nowhere near the HDT, procuring a permit may be nearly impossible for the few that require in-person only. In this scenario, if you decide to risk forgoing the permitting process, former thru-hikers strongly suggest carrying enough cash to pay for permits in case you come across a park ranger while in the backcountry. Planning for permits is described in detail in the Skurka map bundle (available for purchase on the official Hayduke site). Additionally, if you are planning to incorporate the alternate that includes The Wave into your Hayduke experience, it should be noted that access to it is allowed only through a lottery permit system. Online applications for a permit can be filled out up to four months in advance here. Alternatively, a lottery is held for walk-in permits the morning of your planned trip. You can find all the info you need here. Whoopie Cat (me) looking into the Grand Canyon on a non-HDT hiking trip. Expect desert extremes. This means temperatures below freezing at night, but sweltering during the day. Being a desert, precipitation is rare. There is residual snowpack for springtime hikers, and those departing in fall will want to wait until mid-September when monsoon season tapers off. The number one thing to remember is sun protection! Bring your sunscreen of choice, hat, long-sleeve shirt, sunglasses, etc. Wind is also a factor, so prepare to be occasionally sand-blasted. 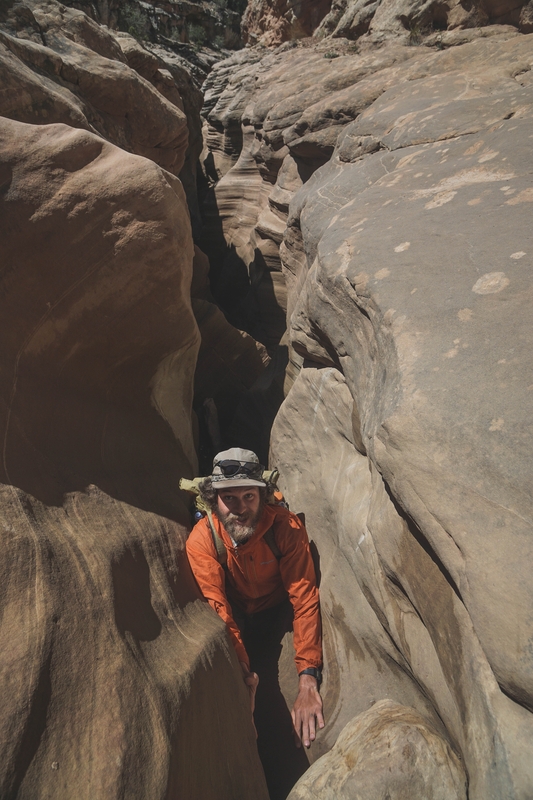 The HDT has hikers schlepping in and out of canyons, washes, and up over mountains. 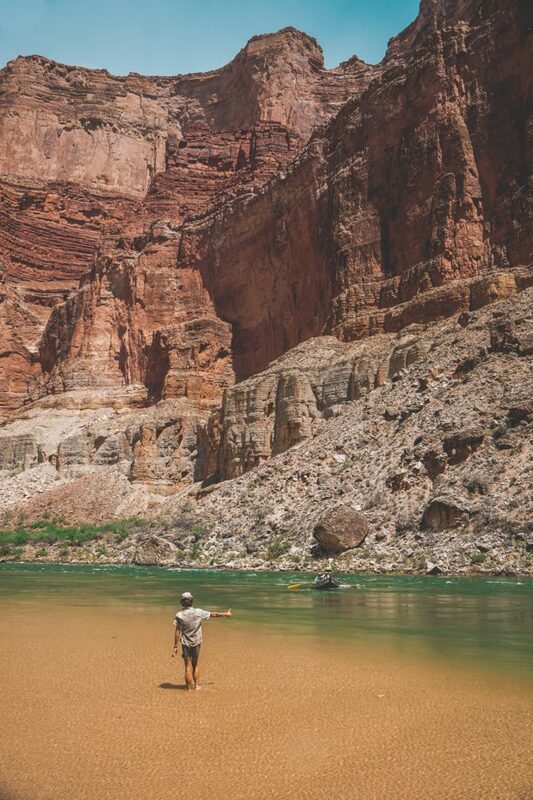 Hikers will travel from 1,800 feet alongside the Colorado River in the depths of the Grand Canyon skyward to the summit of Mount Ellen at 11,522 feet. And being mostly desert, most of your life now involves sand. Hikers who are attempting this route presumably have their gear pretty dialed in, but here are a few thoughts considering the element of extended desert travel. Water sources are generally subpar on the HDT so bring treatment. Many think of desert heat but forget cold nights; bring at least a 20-degree bag. A tent is not necessary if one is comfortable with a tarp or bivouac setup as there will be plenty of opportunities for cowboy camping. However, it may be nice to have a tent for protection from sand and the errant storm. Long pants will protect your legs as bushwhacking tends to be through prickly plants. Extra zipper hardware in Ziploc bag is recommended. Cache your food. If you have the wherewithal to plan out driving the hundreds of miles to each location to dig your caches ahead of time, it will be well worth it when you can travel through this stunning country at your leisure without the stress of making huge miles to town and wondering if certain water sources will exist. Resupply in towns. The most reasonable choice for someone limited by time or resources. This will force you to hike bigger miles with a heavier pack, but the upside is you won’t have to drive all over creation beforehand to cache the food. The towns near the Hayduke also help to color the Southwestern cultural experience, reflecting the sparse beauty of the surrounding landscape. Don’t expect much more than a general store, campground, and single restaurant from most stops along the way. Although according to Peacock generosity and kindness are plentiful, and there is even a French bakery in Kanab! What more could you ask for? 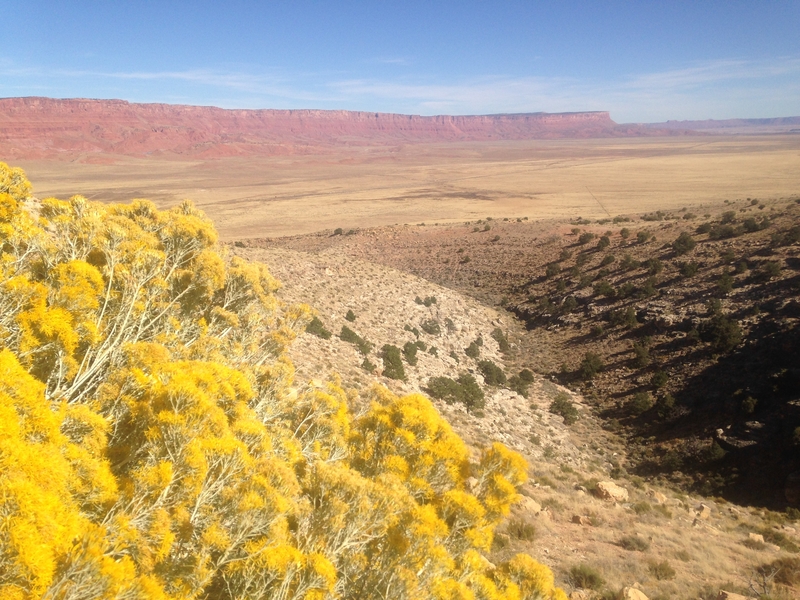 Vermillion Cliffs in the distance… and not much else! Although the Hayduke was routed through natural drainages, water is typically scarce. There are many dry stretches upward of 30 miles. Sources range from flowing creeks to stagnant potholes and often will be fouled by cattle, other wildlife, or the natural alkaline state of the landscape. For those unfamiliar, alkaline water is incredibly salty and can have unpleasant side effects, such as nausea and diarrhea, when consumed in excess. As always when traveling in the backcountry, it is recommended that you treat your water, although there is no treatment to reverse the alkalinity of the water. Count it as a “character building” experience. Since this is not a marked trail, it is the sole responsibility of hikers to know their whereabouts at all times. Some thoughts on navigation: A surefire way to deepen your connection with the land and boost your confidence in the backcountry would be to ensure your map and compass skills are on point before heading out. If you’re a competent navigator with these most basic and fail-safe tools, the Southwest is the ideal setting in which to perfect your skills since there are many obvious visual markers, and therefore fairly easy to orient oneself. Most recommended: Buy the bundle of Andrew Skurka maps. Supplement: Download GPS available through former Haydukers. Supplement: Maps and descriptions from former Haydukers. They HDT traverses six national parks: Arches, Canyonlands, Capital Reef, Bryce, Grand Canyon, and Zion. It also meanders through Grand Straircase-Escalante National Monument, Glen Canyon National Recreation Area, national forests, BLM land, and primitive and wilderness areas. 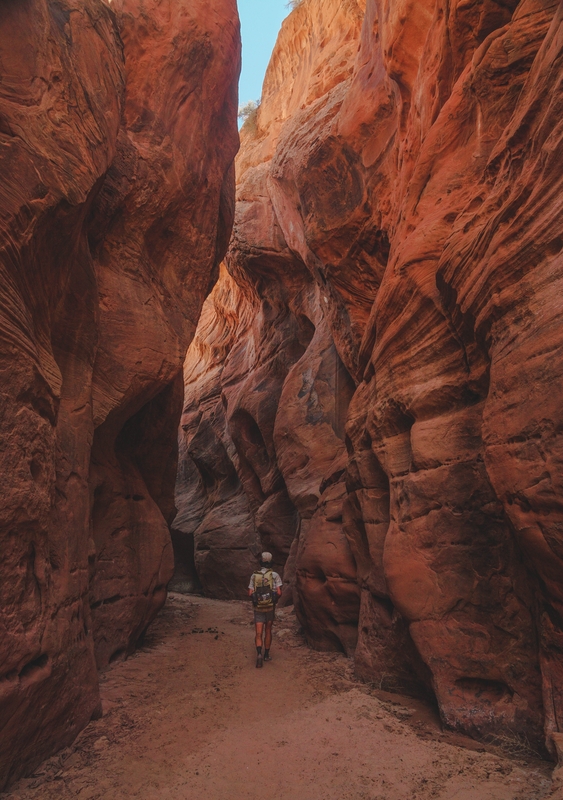 “A favorite moment for me was a subtle one—somewhere between Moab and the Canyonlands, the first quarter of the trail; that was a unique area. I took an alternate in Glen Canyon National Park. It was one of the scarier ascents where I had to cross this little gully which turned into a chute which turned into a cliff. There was one very faint set of footprints that had gone through before me, and I was pretty sure I was on the trail. It was one of the most boundary-pushing experiences. This is a physically difficult and complex trail to plan for and navigate, requiring honesty with one’s skill levels, comfort levels, and a desire to push one’s boundaries. However, there is a ton of detailed, specific, useful information out there from the community of Haydukers who have completed the route and opted to share their experiences to help others successfully see this remote region of the US for themselves. If you are in the market for a thru-hiking experience like no other, this is a fantastic opportunity to challenge and immerse yourself in a true wilderness scenario. The payoff is so much more than glorious vistas—it is about connecting with a deeper part of one’s self and testing the limits within. So dive on into the list of resources and get planning! The Hayduke awaits. 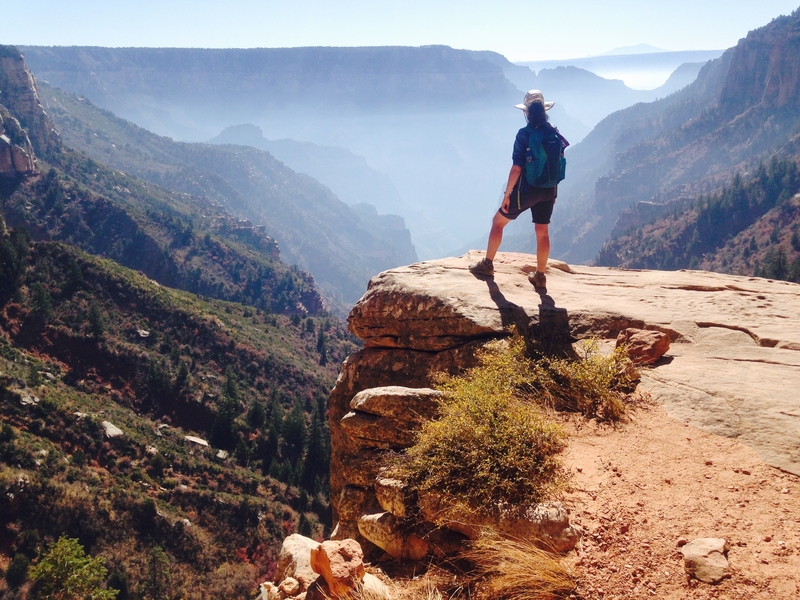 Featured image courtesy of my iPhone from a past trip to the North Rim of the Grand Canyon. Hi! My name is Meg but on trail I'm known as Whoopie Cat. I fell in love with backpacking when I hiked the AT in 2015, followed by the Colorado Trail in 2017, and half the Long Trail in 2018. I love sharing my knowledge of trails and spreading the joy and empowerment that wilderness experiences provide! By far the grandest “trail” I’ve walked, more so, even, than the John Muir Trail. I suspect its use will steadily climb, until it’s no longer the experience that it was a decade ago. I have immense respect for anyone who takes this on, I was first aware of the Hayduke after reading Carrot Quinn’s account on her website blog which had me in awe. I would heartily recommend this if you crave a more fullsome account of the experience.